Authentic detail and distinctive style, KasselWood steel shingles are available in a variety of colors to reproduce the look of cedar, slate, or standard shingles, offering a textured finish to enhance the look and beauty of any home. Backed by a non-prorated lifetime warranty, it truly is the last roof you’ll ever need! 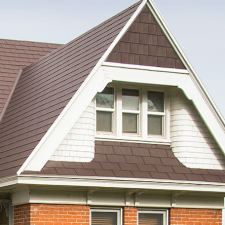 Learn more about KasselWood Metal Shingles. 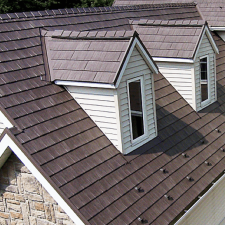 As the last roof you’ll ever buy, Arrowline’s Metal Slate combines old-world charm and unsurpassed performance. Backed by a lifetime non-prorated warranty, an Edco Arrowline Steel Slate Roof will maintain its appearance and protect you and your family for many years to come. Learn more about Arrowline Steel Slate Roofing. The unique beauty of PermaLock aluminum shingles, with its low profile, sharp, clean lines will make your home stand apart from those around it. Backed by a non-prorated lifetime warranty, a PermaLock aluminum roofing system will provide you the security and comfort knowing that you will never need another roof again! Learn more about PermaLock Aluminum Shingles. A long-lasting roofing option, Standing Seam vertical metal panels provide a historic, yet modern roof for any home or building. Our concealed fastener roofing system also comes with a superior interlocking design, providing excellent weather resistance and durability. The beauty of thick, random look of hand-split shakes provides an up-scale charm and beauty that will accentuate and add value to any home. Available in a wide variety of advanced finish colors, an investment in a KasselShake steel roof will last a lifetime, and provide an elegance, richness and beauty like no other! 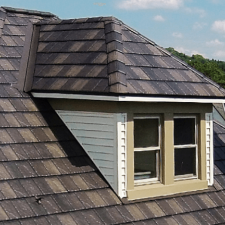 Learn more about KasselShake Metal Shingle. Distinctive Metal Roofing provides the most beautiful, durable, and sustainable metal roofing styles available, all of which are supported by the best warranties in the roofing industry. As you evaluate your roofing needs, we think you will be impressed with the features and benefits each metal roofing style has to offer. A metal roof from Distinctive Metal Roofing is truly the last roof you’ll ever need. The value of a roof is measured over time. Most homeowners can expect to replace their roof three times or more during their lifetime. On average, construction costs typically double over a 10 – 12 year time period. 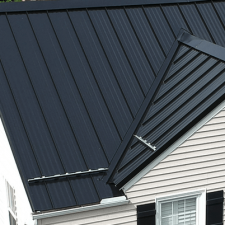 A Distinctive Metal Roofing metal roof will never need replacing, and will require little or no maintenance, saving you thousands of dollars in future repair and replacement costs. When you consider the money you will save in replacement and maintenance expenses, and how a beautiful lifetime roof will add to the value of your home, we think you will agree a Distinctive Metal Roof offers great value! At Distinctive Metal Roofing, responsive, personalized, and professional service is what you’ll receive throughout your entire experience, from your first call to the completion of your new, beautiful and permanent metal roof. Metal roofing is all we do. Our team is experienced and factory trained, with a proven track record of delivering exceptional service, making us the premier metal roofing experts in the Northeast Ohio and Western Pennsylvania area. With our wide range of metal roofing styles, you never have to choose between durability and design. Our options provide you the best of both worlds by promising both long-term protections and a timeless appearance you’ll be proud to show off. We have years of experience forming and installing each metal roofing style in Ohio and Pennsylvania and are ready to apply that education to your roofing project. 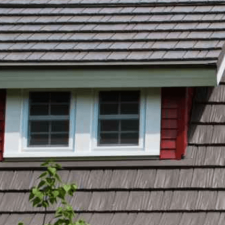 Learn more about each roofing style below and call (800) 243-5091 for a free project estimate.